A major step of adulthood that often goes overlooked is finding a doctor. And while you want to have a good feeling about every health care provider you see, it’s particularly important when it comes to finding a gynecologist. If you’ve moved, are seeing the gynecologist for the very first time, or need/want to find someone different than your current provider, you may have experienced firsthand how daunting it can be to find a doctor. So HelloGiggles spoke with three ob-gyns to get their perspectives on how to find a gynecologist you’ll want to stick with. First things first: you should limit your search to someone who is an in-network provider based on your insurance. That way you won’t have unexpected bills associated with your medical care. Then, another major factor is planning ahead. It can be difficult to make an appointment with a gynecologist or obstetrician-gynecologist in a timely manner, and you may have to wait weeks—or even months—to see your provider. One of the reasons for this lag may be an insufficient number of women’s health providers in the U.S. According to the American College of Obstetricians and Gynecologists (ACOG), most board-certified ob-gyns are associated with them, and in 2017, there were 35,586 ACOG ob-gyns providing care. ACOG compared that number to the U.S. Census and found there are only 2.7 ob-gyns for every 10,000 women 16 years or older. To help you get through the potentially stressful search process, Dr. Jennifer Conti, Dr. Pari Ghodsi, and Dr. Angela Jones shared their insights. And while they may have different tips, they all believe patients should feel empowered to advocate for themselves as they select a doctor. You don’t have a lot of time to get acquainted with your gynecologist before he or she is examining your most intimate areas. So Dr. Jones said you should listen to your instincts. With that in mind, some women may choose to see a female gynecologist, but there’s more to think about than just the doctor’s gender. Make sure you trust them. Along with that first impression, you’re going to have to trust your provider throughout your care. As Dr. Conti noted, that means you’ll have to feel like you can be upfront and honest about even the most embarrassing things. Ask your friends or family who they see. Depending on your personality, you may feel awkward asking the other women in your life who they see for gynecological care. But Dr. Ghodsi said that’s actually one of the best ways to find a doctor who suits you. Maybe you don’t feel comfortable asking the people in your life about their gynos. Or maybe you just moved and don’t have someone to ask who lives in your area. That’s when online reviews can be your friend. “What do other patients say about them? Reviews are often helpful here,” Dr. Jones said. You can look at websites like Yelp, Zocdoc, Vitals, and Healthgrades to find reviews of gynecologists in your area. Your insurance company’s provider directory may also have patient reviews. As U.S. News & World Report explained, a doctor may be licensed to practice, but not board-certified. A board-certified practitioner has taken extra steps to become certified by an accredited organization. Gynecologists can be certified by organizations like the American Board of Obstetrics and Gynecology or ACOG. We’ve mentioned gynos and ob-gyns, but it’s important to understand the difference before choosing a provider because of how it can impact your care. Gynecology deals with the functions and diseases of the female reproductive system. But gynos can’t care for you if you’re pregnant—you need an obstetrician or ob-gyn in that case. (Unless you go with an alternative health provider like a midwife.) Ob-gyns specialize in both gynecology and obstetrics—the field that covers pregnancy, childbirth, and postpartum care. If you don’t want children, can’t have children, or it’s something really far off in your future, then you may be fine with a gynecologist. Otherwise, Dr. Jones suggested going with an ob-gyn so that you don’t have to find a new doctor during this particularly important (and vulnerable) time of your life. Depending on your family history, consider a specialist. So you’ve got the difference between gynecologists and ob-gyns down. But did you know there are other specialties in the gynecological field? If you have a family history or suffer from another medical issue related to your reproductive organs, you may want to look into one of these specialists. Ensure they give you the time and attention you deserve. Have you ever walked out of the doctor’s office and felt worse than you did when you entered because you didn’t feel like they listened to your concerns? Well, Dr. Jones wants you to know you shouldn’t ever have to feel like that. “Make sure your physician is patient and willing to address all of your questions, concerns, go over medical diagnosis, management, etc. Overall, my biggest recommendation is just making sure you don’t settle for less,” Dr. Jones said. You may need to try out a few gynecologists or ob-gyns before finding the right one. But don’t feel weird or uncomfortable about that. 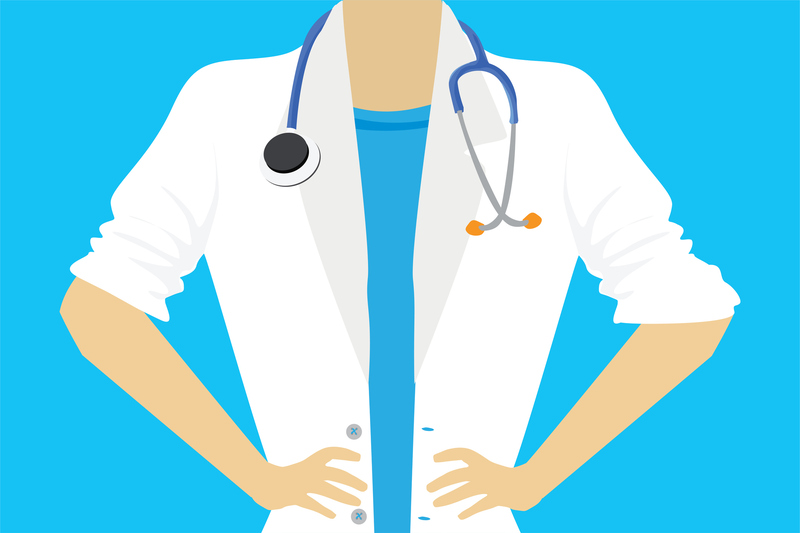 Your health is worth it—and you’ll ensure you get the best care when you find a gynecologist who makes you feel heard, respected, and well-cared for.